With wedding planning in full swing, BloomsByTheBox.com wants to help brides prepare for their weddings with a wedding flower contest for a little inspiration and free flowers! 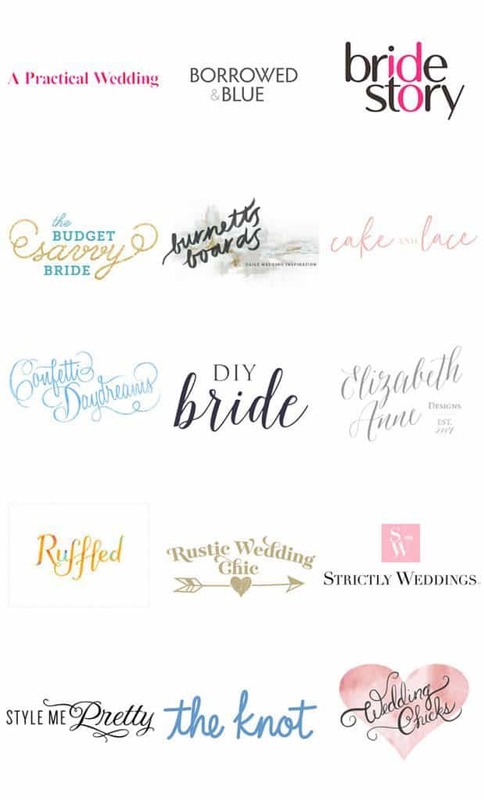 To inspire soon-to-be brides, Blooms By The Box has curated a Pinterest board with bride favorite flowers, must-have tutorials, and all the inspiration you need to plan your DIY wedding! 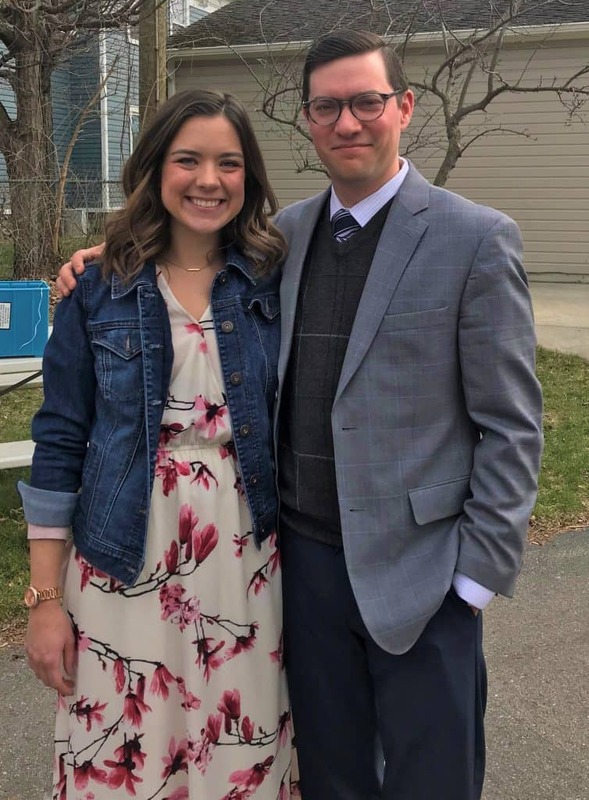 To celebrate these newly engaged couples, Blooms By The Box is hosting a wedding flower contest and awarding one lucky winner $300 toward a DIY flower purchase with BloomsByTheBox.com. We’re happy to announce the winner of our 2018 Blooms By The Pin Contest — Annie! This lucky Blooms Bride will be using her Blooms By The Box flowers to decorate her reception space with 100 bud vases, we can’t wait to see photos! Here’s the winning Pinterest Board! 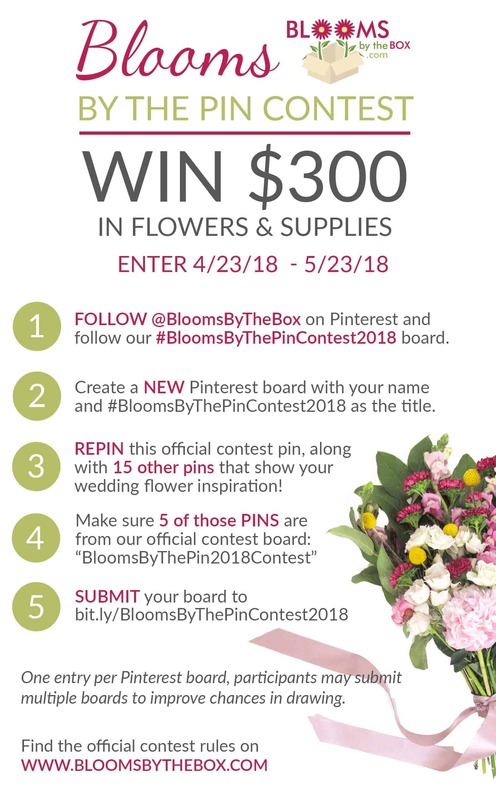 Follow @BloomsByTheBox on Pinterest and follow our #BloomsByThePinContest2018 board. 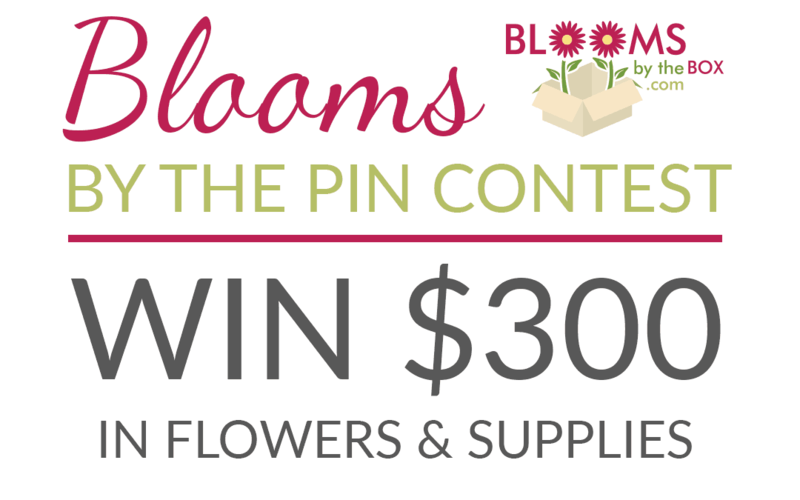 Create a NEW Pinterest Board with your name and #BloomsByThePinContest2018 as the title. REPIN the official contest pin, along with 15 other pins that show your wedding flower inspiration. Make sure at least 5 of those pins are from our official #BloomsByThePinContest2018 Pinterest Board. One winner will be selected by May 28, 2018 from all entries received on or before May 23, 2018 12PM EST. *One entry per Pinterest board, however participants may submit multiple Pinterest boards to improve chances in the random drawing. The potential prize winner will be selected from all eligible entries received in random drawings held after May 23, 2018 12PM EST by Blooms By The Box whose decisions are final and binding in all respect. Odds of winning the prize depend on the number of eligible entries received. Potential prize winner will be contacted via email and will be announced on Blooms by the Box social media. Failure of potential prize winner to respond to such notification within 72 hours will result in disqualification and an alternate potential winner will be selected and the same procedure will apply. An entrant is not a winner of any prize unless and until entrant’s eligibility has been verified as fully state herein and entrant has been notified and verification is complete. Winner will receive $300 credit toward the flowers of their choice from bloomsbythebox.com. Unused credit cannot be redeemed for cash.